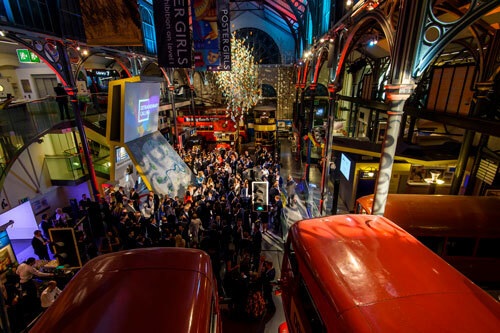 Cass Business School marked the closing of its 50th anniversary with an alumni party at the London Transport Museum. Hosted by the Dean of Cass, Professor Marianne Lewis and organised by the Alumni Relations team, the evening celebrated Cass’ many achievements over the past half century and looked towards the next 50 years. Over 400 alumni attended and travelled from as far as Turkey, the US, Canada and Singapore. 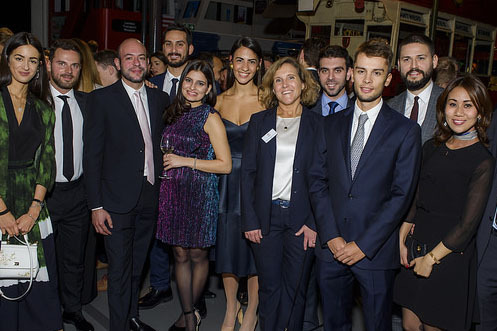 The evening featured a keynote address from Cass alumnus Sir Stelios Haji-loannou, Chairman and Founder of Easyjet. Sir Stelios reflected on the lessons he learned during his time at Cass and his distinguished career as one of the world’s leading entrepreneurs. He also spoke about the importance of philanthropy and explained some of the stories behind the work of the Stelios Philanthropic Foundation. 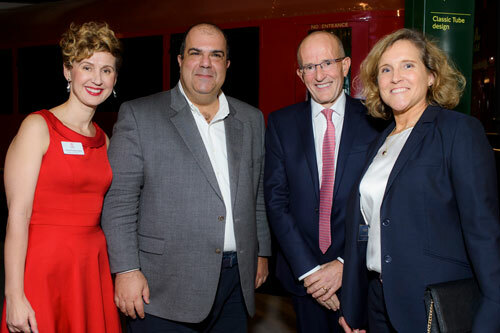 Professor Lewis said she was delighted that Sir Stelios was able to take such a prominent role in closing the Cass 50th anniversary celebrations. “This was a very special occasion and I am so pleased that Sir Stelios, a valued member of our alumni community, was able to join us. He exemplifies the extraordinary attributes of our graduates – successful, philanthropic, innovative and globally minded,” she said. Professor Lewis thanked alumni for their tireless work in the promotion of Cass. “Our alumni are at the heart of Cass and we are delighted that so many were able to join us for this very special party. We have had an exciting year of anniversary celebrations and are now looking forward to the next 50 years”. Professor Sir Paul Curran, President of City, University of London, offered a toast to Cass and reminded guests of some of the School’s key achievements during its anniversary year. It was announced at the event that Sir Stelios is funding a new position at Cass, the Programme Lead for Stelios Scholars. The new position, which will be held by Dr Nikos Papapostolou, Senior Lecturer in Shipping Finance, will enable experimentation, expanded support and shared learning to enhance the Cass scholarship programme. “I feel honoured to be selected as the first Stelios Scholars Programme Lead. Being an alumnus (MSc Shipping, Trade and Finance) and at Cass for 16 years, I do not feel I have been hired to do a job. Rather I feel part of the Stelios Scholarships mission and I look forward to contributing towards and achieving the Programme’s goals”. Join the Cass Alumni Community here. Watch a video of the celebration here.